Toyota RAV4 Forums > Announcements > RAV4 News, Reviews & Videos > [Jalopnik] For $5,000, Is This 1996 Toyota RAV4 Something To RAV About? 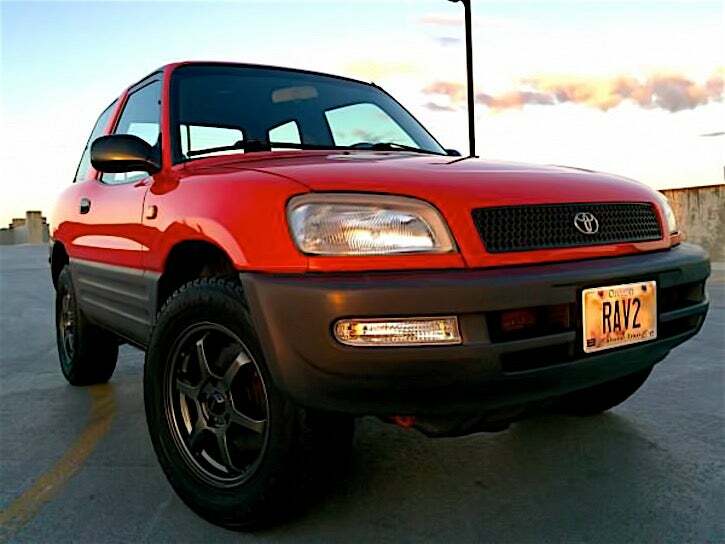 [Jalopnik] For $5,000, Is This 1996 Toyota RAV4 Something To RAV About? Today’s Nice Price or Crack Pipe RAV4 is quite literally the Corolla of small crossovers, which might be both a good and a bad thing. Let’s see if its price makes this crossover, cross-over to one side or the other. Now, had yesterday’s California been as red as today’s 1996 Toyota RAV4 perhaps its outcome would have been different. Speaking of which, you couldn’t get much more different from a Ferrari than with a RAV4. Toyota’s little crossover rode the wave of similar cars that invaded the U.S. in the mid-nineties. Many of those - Chevy’s Tracker, Daihatsu (gesundheit) Rocky, Suzuki Sidekick, etc - have fallen by the wayside while Toyota’s stalwart wagon soldiers on, now on its fourth generation. I voted nice price but was in the minority. Even rated as "Excellent" condition, blue book on this fella is only $1500. Much as I love RAV4s, it's very much a Crack Pipe. It's a Toyota, so I think it's worth the price. Since it's been well taken care of it should go many more miles. Too bad it's not 4WD, though. A 98 model was my first Rav, and I have to say I loved it much more than my 06 version. Thing I loved most about my 06 was its whompin' V6! It'd be a nice first car for a college kid but maybe for half that price. I only paid $9000 for my 08' Limited with V6 so I'm thinking 5k might be a tad overpriced. In Canada and in the rust belt here, that would be a good buy for $5,000 Cdn = 4,000 US$ / if it was 4x4 - 2WD here makes it more like $3,500 Canadian IMO...overpriced by 50%. If it was 4x4, $5,000 US would be tops and probably even a stretch, given the 190,000 miles. I recently paid $9,000 Cdn (which was a steal) for a 2000 4Runner, v6, 4x4, in mint shape. ^^ I gladly paid much more than KBB estimates (this time), as used condition was close to perfect for a +15 year old SUV - plus senior owned & maintained at Lexus/Toyota dealership (since new). Nobody sells the older & desirable pristine vehicles, on the cheap / if their is a following, for the make. I think the first generation RAV4 is worth more than what it goes for. One day people will understand it.